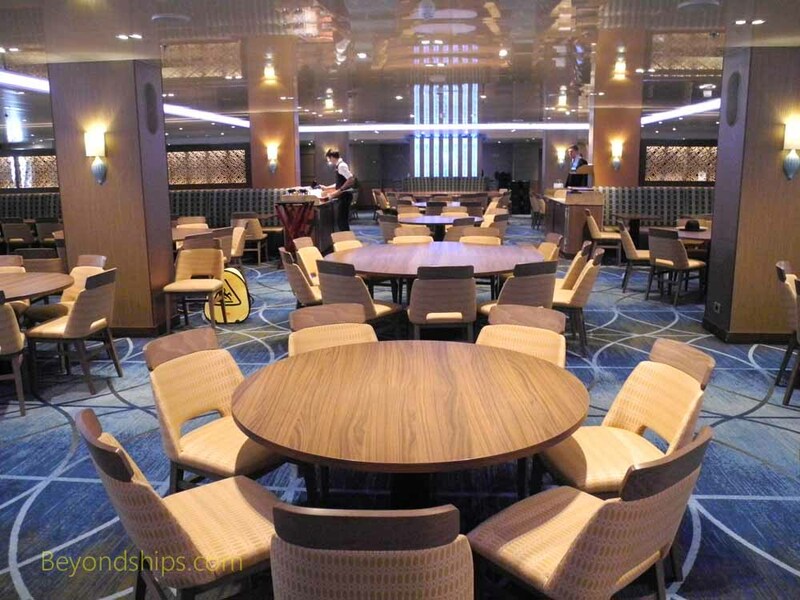 Carnival Vista has two main dining rooms. 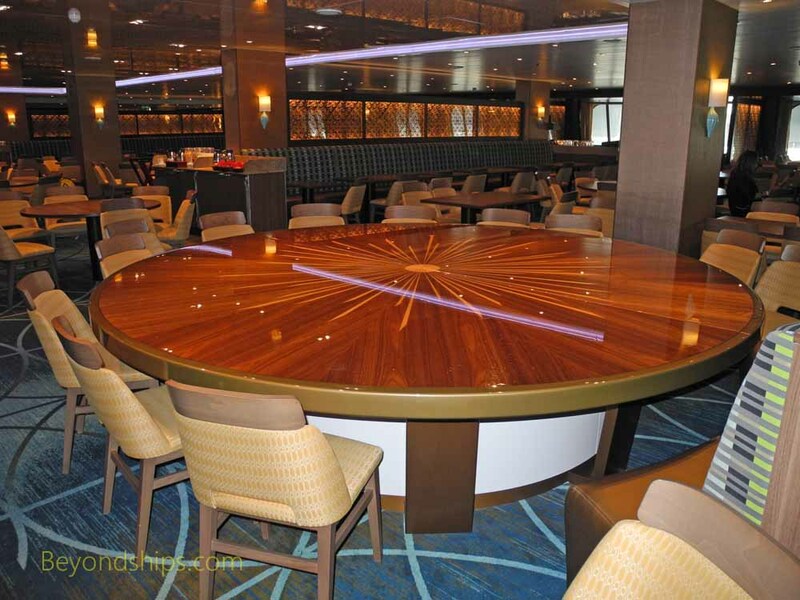 The Reflections Dining Room is midships and is one level on Deck 3. 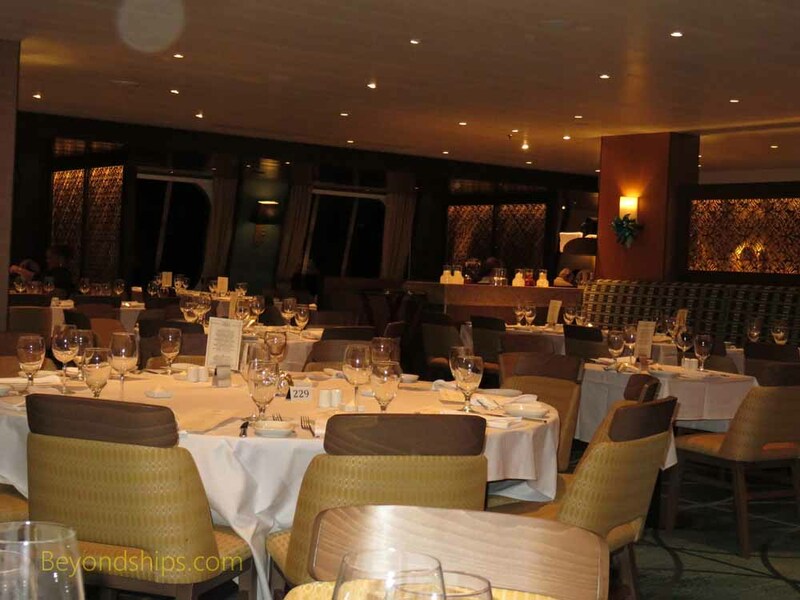 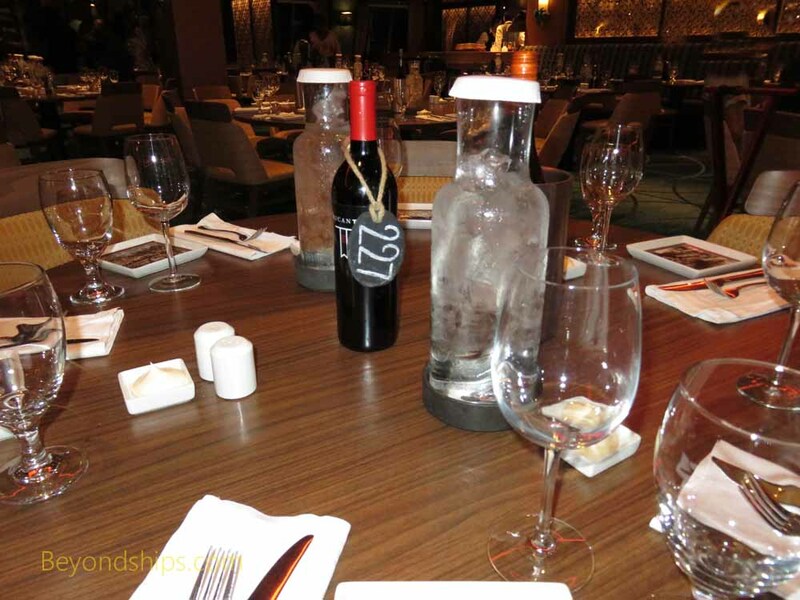 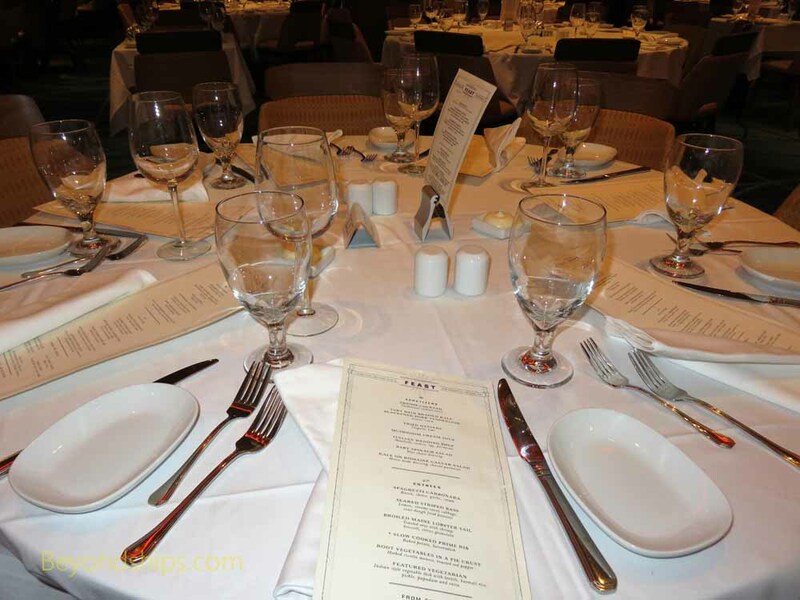 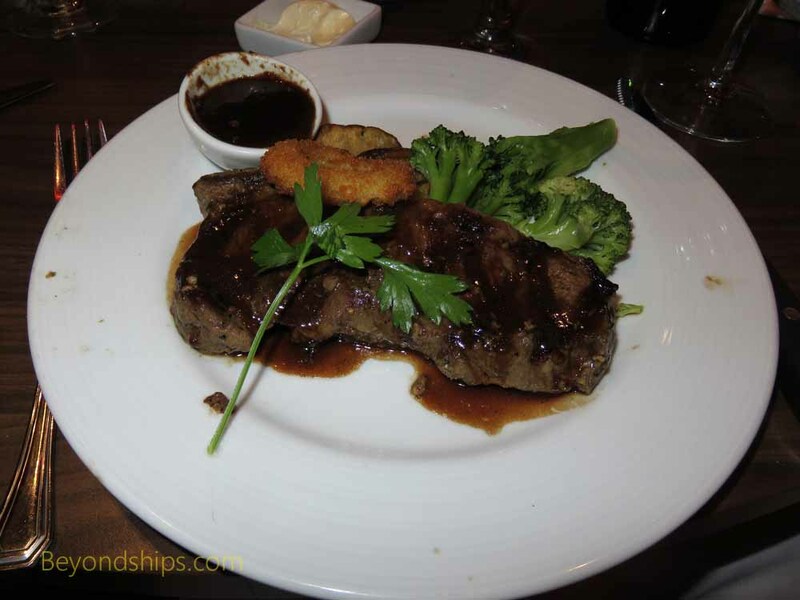 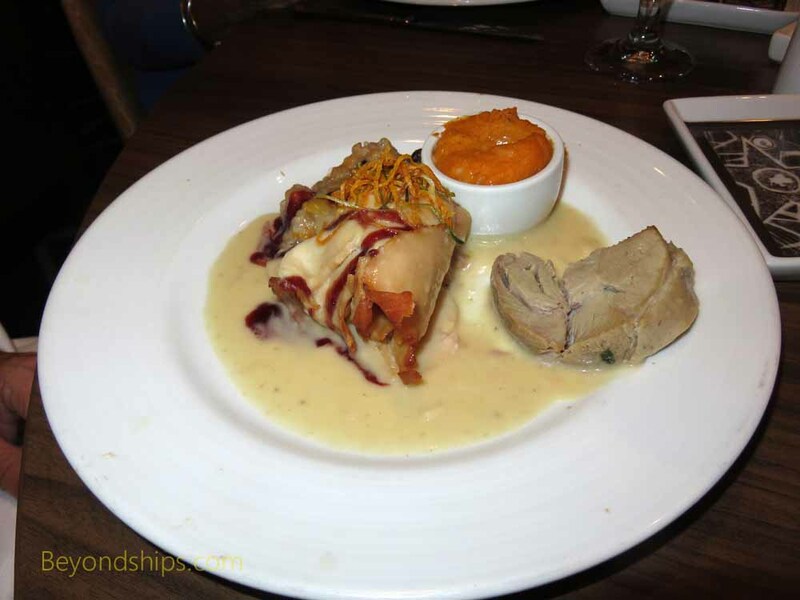 It is usually only open for dinnerand follows the traditional cruise ship dining system with guests assigned to a specific table at either the early or late seating. 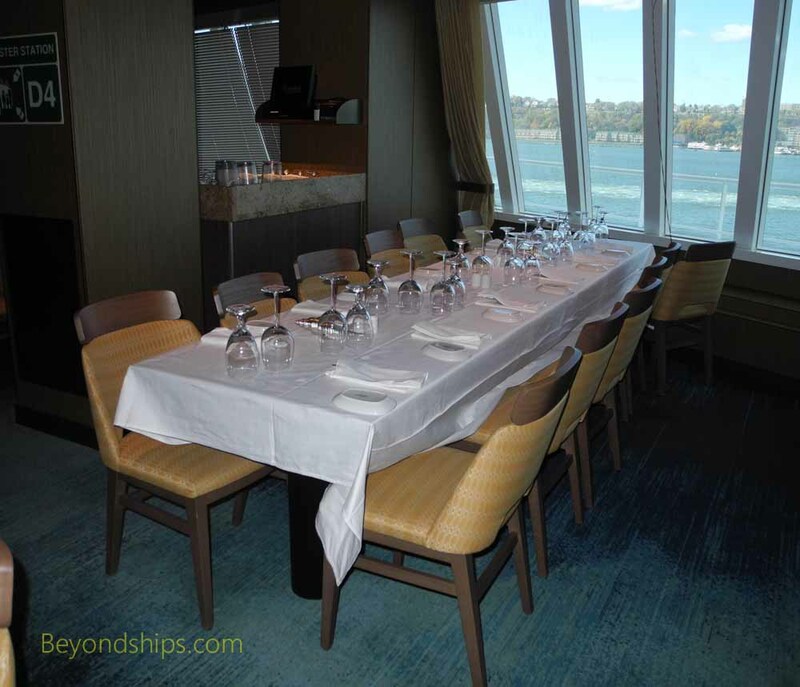 ​The Horizons Dining Room is located aft at the stern of the ship. 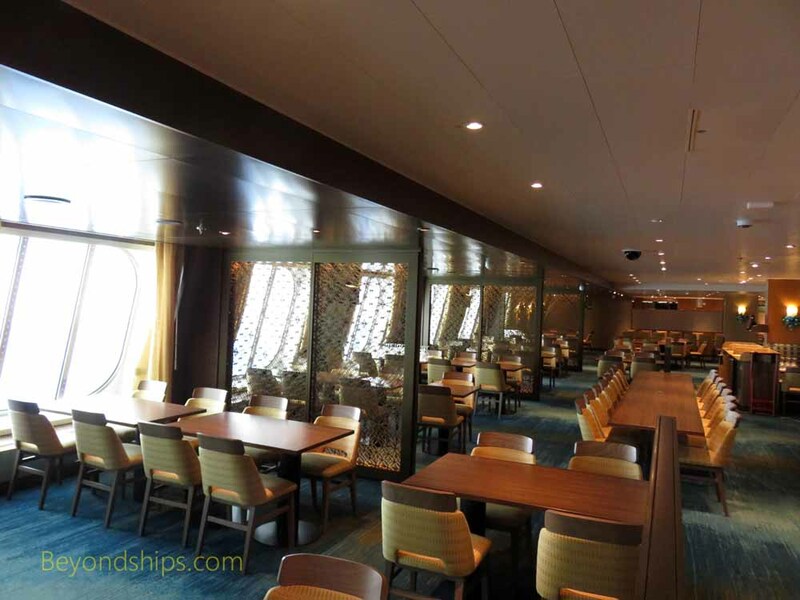 It is two levels with the main floor on Deck 3 and a balcony on Deck 4. 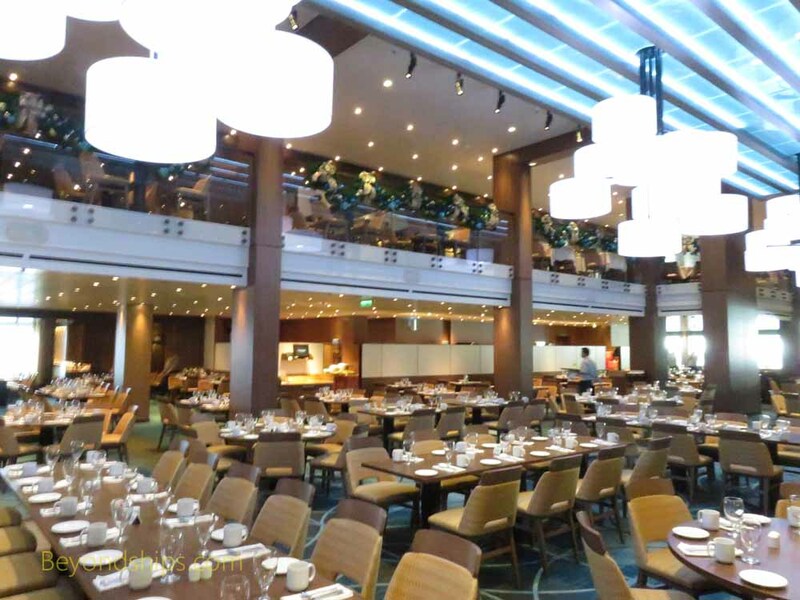 The Horizons is open for breakfast, lunch (only sea days) and brunch (only on certain days) on an open seating basis. 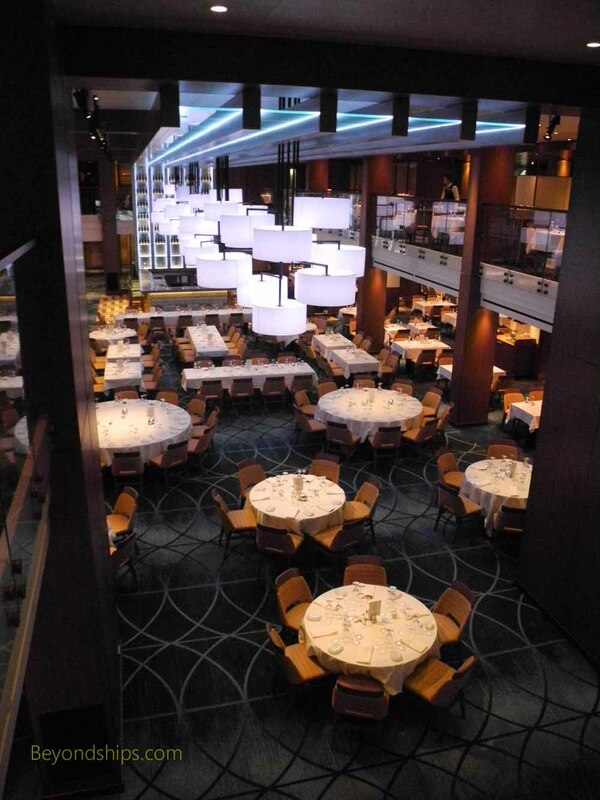 In the evenings, it follows a flexible dining system. 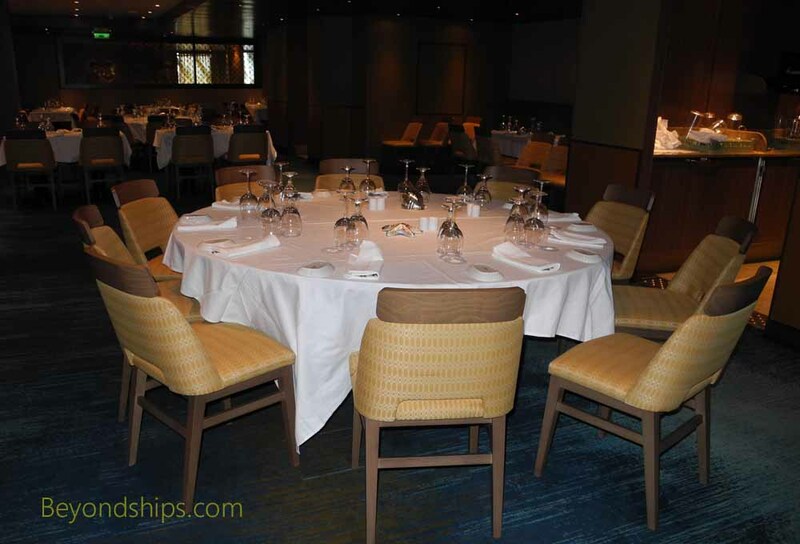 Guests can come when they like but may not have the same table, waiters or dinner companions each night.